OIDAR stands for Online information and database access or retrieval services. What is an OIDAR service exactly? Who will register when the service provider is outside India? Does reverse charge apply in OIDAR services? Why does OIDAR service require a treatment different from other services? How to determine the location of the recipient? Both the following conditions must be satisfied to be a OIDAR service. If one is not satisfied, the service is not OIDAR. Delivery is mediated through internet. The supply is essentially automated involving minimal human intervention and impossible without information technology. It has also been clarified that using the internet to communicate or facilitate service does not always mean that a business is providing OIDAR services. India India Yes Forward Charge Hotstar (registered in India) allows Indian users to register and watch movies. (GST payable by the recipient) An Indian Co.(registered) asks BlueHost (US) for web hosting services. GST is payable by the Indian Co. under RCM. (GST payable by the service provider) A student in India registers in Netflix (US) for watching movies. Netflix has to pay IGST. (Not covered under GST) NA Netflix (US) provides online movie streaming services to people in US. This is not covered in Indian GST. Who will register and pay GST for OIDAR services when the service provider is located outside India? 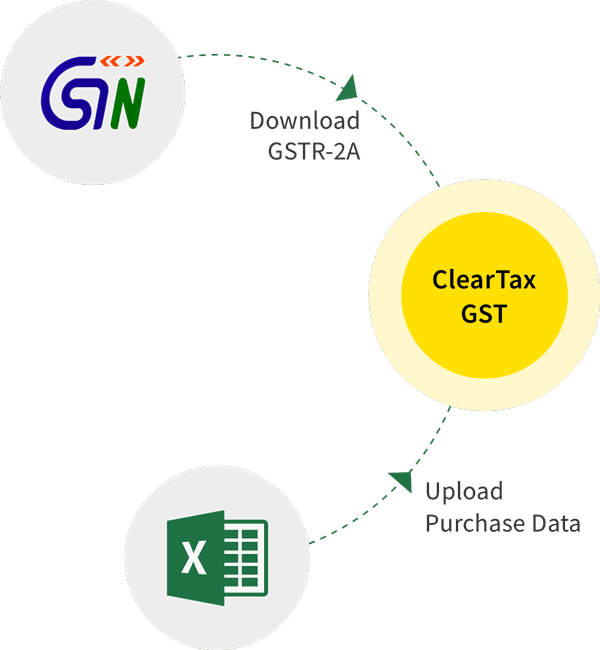 In respect of import of online information and database access or retrieval services (OIDAR) by unregistered, non-taxable recipients, the supplier located outside India will be responsible for payment of taxes. The service provider (or intermediary as the case may be) will be required to take a single registration for paying IGST under the Simplified Registration Scheme to be notified by the Government. Either he will have to take registration or he will have to appoint a person in India to pay GST. The person receiving any such services i.e. OIDAR should pay the IGST to the government only if he is registered under GST as a taxable person. The peculiarity of OIDAR service is that it can be provided online from a remote location outside India. If a similar service is provided by an Indian Service Provider, from India to recipients in India then such service would be taxable. If such services are received by a registered entity in India then GST will be payable under reverse charge. This gives the overseas suppliers of such services an unfair tax advantage if their services are left out of the tax net. Again, as the service provider is located overseas and might not have a presence in India, the compliance becomes difficult. So, the government has a simplified scheme of registration for such service providers located outside India. What is the place of supply for OIDAR? Location of the fixed land line through which the service is received by the recipient is in India. Supply Service provider Receiver Who is liable to pay IGST? This situation is quite common in India. For example, a student in India registers in Netflix (US) for watching movies. Netflix becomes liable to register in India and pay IGST. What happens where the OIDAR service provider supplies services through an intermediary? If an intermediary located in outside India, arranges or facilitates the supply of OIDAR services, from the service provider to the non-taxable online recipient. then the intermediary will be deemed to be the recipient of such services.